Heather Dessinger 241 Comments This post contains affiliate links. And unfortunately, my beloved “man stink killer” deodorant recipe can sometimes cause irritation for people with sensitive skin. Why is that, and is it really all that important to ditch the store-bought stuff anyway? Breast cancer most often occurs in the upper outer quadrant – just under where women rub deodorant on. In a 2012 study, 99% of breast cancer samples analyzed contained parabens – a common ingredient in deodorants. Some say there is no link and that the increased rate of cancer in this quadrant is because it contains the most epithelial tissue. Personally, I think it’s worth it to make my own in just a few minutes. It’s inexpensive and I can use safe, food-grade ingredients I already have in my pantry. But What’s The Deal With Homemade Deodorant Causing Rashes? You totally finished that sentence, didn’t you? Well, it’s true. Underarm rashes are often caused by a pH imbalance – a disruption in the naturally occurring acid mantle that acts as a skin barrier to bacteria and viruses. (source) Women tend to have a slightly lower pH than men, but all of us are in the range of 4.5 to 6.2, which is acidic. (source 1, source 2) Sometimes homemade deodorant is too alkaline for our personal pH, but no fear! The recipes below have a pH that is more compatible with sensitive skin. Sometimes, though, it’s a detox reaction rather than a pH issue. Though our primary detox pathways are through the liver, kidneys, colon and lymph system, our skin and lungs also assist with detoxification. 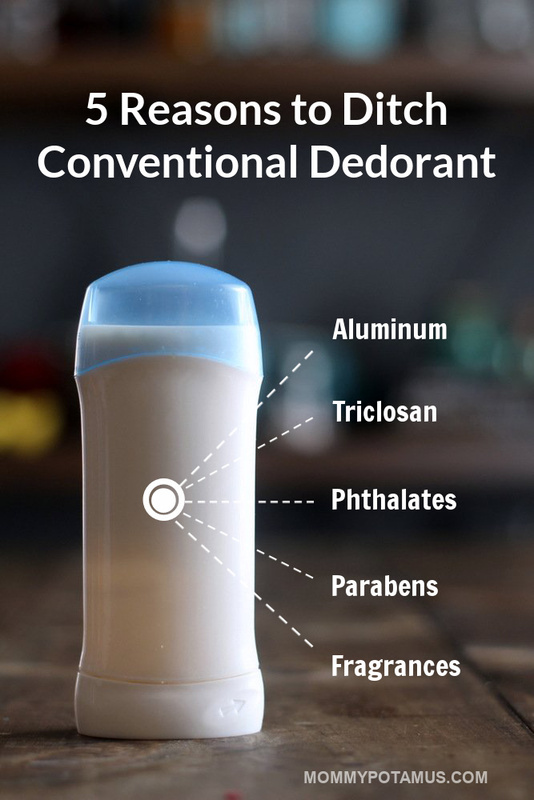 It makes sense that if we’ve been applying a deodorant containing parabens, aluminum, propylene glycol, and/or triclosan, our body may begin working to eliminate it once we switch. If you think this might be your issue, my friend Katie of Wellness Mama has a great article on how to detox your armpits. Lastly, in some instances, it’s an allergic reaction. For example, some folks who are unknowingly sensitive to corn may have trouble with a cornstarch-based deodorant. Fortunately, the soothing recipes below are helpful no matter the reason. This is my tried-and-true man-stink killer recipe with a few tweaks. You probably have the ingredients needed to make in your pantry right now. 1. Combine baking soda and arrowroot powder/cornstarch. 2. Add four tablespoons melted coconut oil and mix with a fork. Continue adding coconut oil until the deodorant reaches your preferred consistency. 3. Transfer mixture to a jar with a tight fitting lid. Apply a small amount to underarms with your fingertips as needed. This is a gentle formula that works well for those that are sensitive to baking soda. Diatomaceous earth is a powder made from fossilized phytoplankton. It’s rich in silica and highly antimicrobial, which is why it works so well. It’s pH can vary depending on where it is sourced from, but it is typically lower than baking soda. 1. Combine diatomaceous earth and arrowroot powder/cornstarch. 2. Add six tablespoons melted coconut oil and mix with a fork. Continue adding coconut oil until the deodorant reaches your preferred consistency. Hello, I was wondering if I could use bentonite clay instead of DE? The aluminium is already bound tightly to the bentonite clay, therefore it cannot be absorbed by your body. KIDS TOOTHPASTE..Well, alluminum is a problem with my very sensitive underarms.. Through prayer and being very hurt that I was smelling terrible by the end of the day .. Rvery deodorant, even UNSCRNTRDgave me boils and sensitive underarms.. One morning, I used my tooth paste ( smoothed it on arm pits for approx 2 mins then washed off.. No underarm stink thru the day .. Changed to kids toothpaste and it felt better going on.i washed it off aft 2 mins.. And no smelling armpits thru the day at all ! I am so thankful !! I also have the same underarm problem. Are you talking about store bought kids toothpaste. ? What brand of kid’s toothpaste do u use? Please be aware of propaganda. The greedy are doing everything they can to keep us believing their lies. It’s getting nasty! I’m standing tall with the help of the Lord. I will not back down. Keep using natural products and share your results! What can you use instead of coconut oil? I’m allergic to it. I would think Shea butter would be a good substitute, since that’s what the original recipe uses now. If it’s too solid, you can thin with a little liquid oil like sweet almond, avocado, or jojoba oil (all of which are great for skin). Mango and cocoa butters would be good options, too, but would need thinned as they are really hard butters. shea butter is a good alternative to the coconut oil and doesnt melt like the coconut when the weather is warm if putting the deodorant in a wind up bottle. Thank you! I am also allergic to *Coconut oil*. Makes me ITCH and hurts to digest it. I have shea butter, cocoa butter and jojoba oil. I will try a recipe with these. now it has hardened so much that I cant get any out of the jar to use it. How to make it softer more like a cream so I can easily scoop a lil when I need to use it? its rock hard and I don’t want to have to melt it everytime I need some. One option would be to melt it and mix in a liquid oil like almond or jojoba, which tend to absorb better than some other carrier oils. This may be a dumb question, but what’s difference between diatomaceous earth and other clays like sea clay, bentonite clay, and Brazilian clay, etc.? I once read bentonite clay is volcanic while diatomaceous earth is aquatic…being harvested from water beds. I have the same question. I have a bunch of clay sitting around…can we substitute that for the DE? Bentonite clay typically comes from volcanic ash deposits, while diatomaceous earth is a powder made from fossilized phytoplankton. Both are natural and have many similar uses, but based on my experience DE works a little bit better as a deodorant. You can certainly substitute clay for the DE in the recipe above, though, and if it works for you – YAY! Can you use olive oil if you don’t have enough coconut oil? Nope i dont think thats a good idea. The coconut helps the deodorant become more solid so you can easily put some on pits without it being so runny…..plus coconut oil is antibacterial so its the better choice, but you can try it. I have tried the above deodorant with bentonite clay instead of the diatomaceous earth and it actually burnt my underarms. I was in pain for almost a week. FYI bentonite clay ph is pretty high can’t remember how high but I think it’s in the 10 range. Correct me if I’m wrong. Google says 8.3 to 9.1. Still higher than what we’re going for here, but not quite 10. Can you add essential oils to this mixture? Because this recipe is for sensitive skin I opted not to include essential oils. You could include chamomile, lavender, or another soothing EO if you wanted to, though. Just a little tip, listen to Heather about the “soothing” EOs. I thought I’d add to the antibacterial properties and used some Tea Tree oil with a little Lavender…this was a terrible idea, it seemed fine in the jar, but by midday, my brain was translating the scent as Beef Stew. It both made me very hungry for stew, and grossed out that it was my body, and not any actual food, that was smelling like it! I purchased toms natural doeoderant. It contained tea tree oil. That was so horrible. It immediately made my pit burn so badly I had to wash it off. Hi. Tea tree oil is very, very strong and will burn skin. (However, 2 – 3 drops in water makes a great mouth wash (approved by my dentist and periodontist) It also has a horrible smell to it. Does this leave stainson clothing? What is the best method for removal if it is transferred to shirts during the workday? I’m wearing a dark grey t-shirt and in the mixing process it got on my belly region. I just wiped it off, it seems fine. coconut oil basically melts in your hand, and both corn starch and banking soda dissolve in water like nothing, so a good hot wash should really take care of it. Even if it doesn’t, I can’t imagine it’s any harder to clean than most of the other solid deodorants out there….I’ve removed hard water scale easier than I’ve been able to pull that stuff off a bra or a shirt. Is there any specific brand or place you order the diatomaceous earth from that you would recommend? Just make sure that the diatomaceous earth is Food Grade and NOT the stuff made for pools! I purchase mine by the 50 lbs food grade bags at our local feed store. (Aprox. $35.00). I put it in my pets food (dogs, chickens and cats), in their beds and on them. I know I can put it on my food also but I never have. I use it for pest around the foundation of my house. I also mix some with water and put it in a spray bottle to spray inside my house, under cabinets and even on carpeted areas and along base boards. I love DE and I try to tell everyone about it. There are problems with it too. You don’t want to inhale it or let your pets inhale it. It can cause lung problems. Also, it is indescriminate and will kill good bugs as well as bad. So be very careful when using. I’ve read that DE doesn’t work when wettened, so how is it effective when mixed with water for spray? I got my DE from a pet store. it also gets rid of fleas, the fine powder stick to the bug and suffocates them, boom, no fleas. When dry DE actually cuts the exoskeleton of any hard bodied pest (fleas, ticks, bedbugs even ants) and causes their body fluids to leak, this causes them to dehydrate! Works awesome! Has anyone had success removing the grease stains from the pits of shirts? I have been using homemade deodorant for a year+ now and have a lot of difficulty removing the grease out of some clothing. It doesn’t seem to be a problem with others, or else the color of the fabric conceals it better. I use either citrus (lemon, orange) or eucalyptus essential oil to remove grease stains. Just put a few drops on the area with grease (or whatever it takes for the eo’s to absorb to cover the stain) then wash. Those eo’s are fantastic solvents. I have had great results with eucalyptus oil too! And it smells great, will have to try the orange and lemon! I add EO with a bit of water to the fabric softener container on my washing machine when I want to make my laundry smell nice! There is no EO that will please everyone. You think Lavender and Eucalyptus smell great while I cannot be around either scent. Unscented is definitely the way to go for some of us. It was the peroxide that took out the blood. I am a nurse and have used straight peroxide many times to instantly remove blood from clothing. Hmmm. Ever since puberty I’ve known how to get blood out, thanks to my mom’s tip: you just use cold water. Nothing else needed. Yes, it really is that simple. 🙂 Done it many times! Cold water only works when the blood hasn’t been a dried on stain. If you’ve gotten dried on blood stains out I’d sure like to know your scrubbing method. ? I use ivory soap to get blood stains out works great. Just rub ivory soap on to blood stain with a little cold water and rub together and the stain is gone. Doesn’t the peroxide bleach clothing? I have used Hydrogen Peroxide— try soaking in 3% hydrogen peroxide before washing. Hey do you have any knowledge of hop extract and how much is appropriate when making your own deodorant? Any help would be greatly appreciated! Thank you so much! Hi Cyn, it sounds like you might need to add a little more coconut oil. Cyn, you could also refrigerate it in a small container, then pop it out of the container to use like a solid stick. Great idea, I’m going to try this. My baking soda/co deo makes my pits all kinds of angry. One suggestion though – you might want to clarify for your readers that they should be sure to get FOOD GRADE DE. (As opposed to pool grade which you would NOT want to apply to your skin!) Many people may know there is a difference, but just in case…it’s pretty important! Oh my, YES, I absolutely meant food grade. Don’t know how I forgot to include that. Editing now – thank you! I have made so many different ones. The ones with baking soda work for stink, but give me a horrible rash. The ones without it don’t keep the stink away. 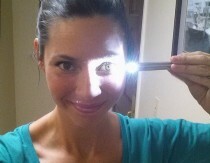 I have found a natural one that finally works….sorta, that does not irritate my skin. I would love to try this one. Do you have any suggestions for keeping the stains off of my shirts? I have so many shirts that are stained badly because of the oils I use in my DO. I’ve been using natural deodorant that I made myself for over 6 months now. At first, I had trouble with staining, but then I took a bit of cornstarch and dabbed it on with a cotton round to soak up a bit of the oil. Works great for me! Hi just wondering what the one you found works. I have tried the baking soda one for two years now, and my underarms are starting to burn. I tried the diatomaceous earth recipe, but boy it does not take the stink away. If you have something different that would be great! If not, then I will go back to the baking soda and just try cutting down on it. Help please! Hey Gail, I’m having the same exact issue as you ~ did you find an alternative? I was wondering if maybe one could increase the DE in the recipe? That way it’s still baking soda free, but maybe helps more for the stinkiness? Anyone have any thoughts? Hey Mary, that is a thought about increasing the DE but mixing it in gets very difficult. Have you tried it? I am a little leery because of the smell the first time around. I do not want to go back to store deodorant! Mary, just below is a comment about food grade zinc and water. I think I will give that a try. I cut the baking soda down to 3 tablespoons, and it is the perfect amount for no burning for me. Try that. I hope it works 🙂 I got the 3 tablespoon idea from someone else who left the idea/comment on this page. Try adding arrowroot with the baking soda. What ever amount is needed to cut the irritation. I started with straight baking soda. After >a year it started to chaf. Added arrowroot and have had no problem. Currently using approx. 50/50 baking soda/arrowroot. Thanks! I’ve been using my friends homemade deodorant, I’ve loved it, but this last time it’s given me a rash and I had to go back to the store bought deodorant. Thank you for giving me this answer!!!!! Hi. I learned to make deodorant with beeswax, (not only as a natural skin softener but to make a hard bar), coconut oil (which you know is amazing for the skin, antibacterial and antiperspirant) and vitamin e (not only good for the skin but for preserving the product) and my opinion is that it might be better than the baking soda wich can leave traces under the arms. As for any good smell, to use few drops of essential oil as geranium, lavender or grapefruit (which makes another great preservative). Just wanted to share the option. 😉 Thanx for all the recepies! Can you share the recipe? I’m new to this stuff, but after recovering from terminal cancer, I don’t want any chemicals! You might want to use zinc deodorant like this one. It’s a bit runny like water, but is very effective as a deodorant. It’s not an antiperspirant but it’s as effective as the antiperspirant’s that I’ve used. You can find this at places like i-herb.com, amazon, etc. I’ve read that zinc is helpful for cancer patients. Hi I read your post about beeswax, coconut oil and vitamin e. Does it really keep odor away? Please would you mind telling me the amounts used and how to mix it? Hi Gail, This isn’t with zinc, but you were asking for a different recipe so I thought I would share one I came across: I have not tried this but it’s a recipe with different ingredients. If I were to make this, I would not use TTO unless you know you’re going to be ok with it, it can really burn- also arrowroot is supposedly better (for you) than cornstarch, but I don’t know what the difference would be in a Deodorant, maybe someone else could chime in & explain?? 2T coconut oil, 3T Shea butter. 2T beeswax, 1T baking soda, 6T cornstarch, 2T bentonite clay, 5 drops tea tree oil. Melt oils together, remove from heat, add baking soda, cornstarch, clay and eo. Pour into stick type containers, cool. 40 Drops of EO- a deodorizing scent you like or soothing as listed above- lavender, chamomile etc. This was so simple and the deodorant/antiperspirant I haven’t tried the first recipe, I have tried the 2nd one, not with cornstarch however, I replaced it with arrowroot. I hope you are able to use one of the two here, if not, I hope you have found SOMETHING that works. Cheers! Thanks JB…just arrived back on blog after bit of a hiatus. I like the second recipe, and I too use arrowroot powder. I will give the coconut oil, arrowroot powder, b. soda and bees wax a try. I also found someone who uses the same recipe I do and she suggested melting the coconut oil first. This makes sense as then the b. soda will kinda liquefy too. I was thinking maybe the burn is from the rough b. soda. I will however, try both recipes and much thanks. I am very interested in your beeswax, coconut oil, vitamin e & essential oil recipe for a deodorant. My family have tried quite a few different low tox & home made deodorants. All at some stage end up giving us a rash. Could I please have the quantities for your home made deodorant so we can give it a test run.. We are desperate for anything chemical free & that won’t have us itching & scratching or ending up in a huge rash. I especially like the fact that there is no baking soda as I think this may be our families problem. I will also be trying the lemon… & the vinegar concepts to. How long does this deodarent seem to last during the day? I’m desperate to find a natural deodarent that will keep me smelling good while I’m busy working with patients in a clinic. Also do either of these formulas stain or lighten clothing? I have been using homemade deodorant for almost 2 years. I works all day. Even in the hottest of weather, I do not have a problem with odor. I am a naturally stinky person, and used to use clinical strength deodorant. I find that I have to apply homemade deodorant in the morning and evening to keep the smell at bay. See the link above about detoxing the underarms. It has helped me a lot, as well as my daughter who also used to use the clinical strength deo. Magnesium oil can also help. Thanks so much for sharing! 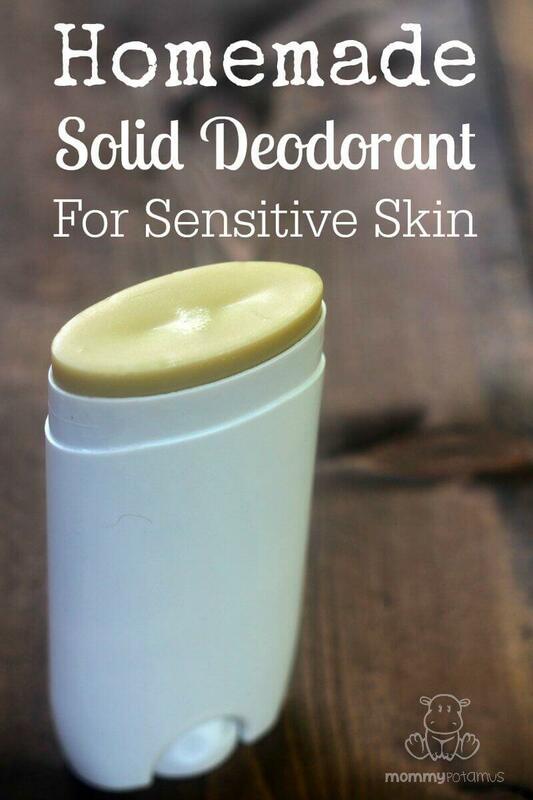 I often have irritation with commercial deodorants and have been thinking about making my own for some time. Thanks for the recipe and I can’t wait to try it! There is something that is even more simple than making up these “potions”. Ever since I heard about it I have been using a simple spritz or 2 of straight white vinegar as a deodorant after showering or bathing. And it works–wonderfully well, even for someone like me who perspires a lot. It doesn’t really keep you dry (you could still apply cornstarch for that, although where you are going to find GMO free cornstarch may be a bit of an effort) but it totally eliminates any odour. My husband has even tried it and he now swears by it as well. I keep the vinegar in the bathroom in an atomizer and I have been using it quite happily for almost 6 months. The baking soda formula gave me an awful rash so I searched around till I found out about vinegar. Seems like vinegar would be the obvious choice just because of the lower pH. I will definitely be trying this. I may add some oils though. The baking soda definitely breaks me out. Wondering if you could add powered citric acid to lower the pH. The baking soda works by increasing the pH to make the underarm skin uninhabitable for bacteria, and the vinegar (and citrus juices) do the same by decreasing the pH. While the baking soda and citric acid ‘might’ not react when dry, once they are on the skin and you sweat, they will react and produce salt and water because you have combined an acid and base. So unfortunately the baking soda might be ineffective if you mix in citric acid. When I first made a baking soda deodorant my skin developed an awful rash but now I think it was because of the potent essential oils I used. My most recent batch did not cause a rash (I only used spearmint EO) but I also used shea butter which is very nourishing. Adding arrowroot powder helped with the oiliness. UCAN Superstarch is a non-GMO cornstarch. It’s an alternative fuel source for athletes, so it’s food grade. Stop in at your local running/triathlon store and they’ll probably have it an unflavored packet of it. You can also get it online. Interesting that you mention this. I read years ago in some magazine article that Princess Diana used vinegar for underarm odor. Must be something to it! How long does vinegar’s ‘anti-stink’ effect last? All day, or does it have to be reapplied? i have read a bunch online about dangers of diatomaceous on the skin. i had purchased to use on nasty toenail fungus (and it was working!) but I got scared from the stuff i read so i stopped. have you seen any of that or done research? Tried and true a simple lemon cut in half and rubbed on underarms does the trick for stink! I’m interested to make these in a regular wind up stick. However once I did it, it melted out through the wind up mechanism in a hot day? Why don’t u add beeswax to this recipe?? Any pros and cons for the addition of beeswax? YAY! So glad you like it, Karen! I am planning to make this for my husband, he breaks out terribly from baking soda deodorants, no matter how little I use. I was wondering your thoughts on adding some magnesium flakes to the mix, and amounts. I know that magnesium oil can be used as a deodorant by itself. Thanks! Hi Sara, I’ve found that magnesium oil can be a little itchy. I’m not sure it would work well for those with sensitive skin. Any suggestion for coconut allergy? Olive oil will work, though it will have a slightly shorter shelf life. How long does this re I pie last for? I’m just wondering if it lasts a month or more. Also is it bad if I melted the oil completely ? The mixture is a little runny. I did add more arrowroot powder so I am waiting for it to harden up. I am hoping it will. It will probably last for much longer than a month. It’s fine if the coconut oil is melted when combined, it will harden eventually unless your bathroom is really warm. Heather, do you just keep it in your bathroom or should it be refrigerated? I made the detox clay/vinegar/water you linked to from Well was Mama and it molded quickly. This recipe doesn’t have any added water, and the coconut oil and DE are naturally anti microbial, but should we be refrigerating and discarding after a certain amount of time? I’m wondering if the rashes some people experience after successfully using it for a while are from unseen microbial growth. Can’t wait to try! I used the baking soda one and it did NOT work nor did the expensive Lavillin deodorant I bought. 🙁 I thought I’d have to resign myself to smell or use the unhealthy stink killer 😛 I’m going to try the DE! Thanks for such an amazing blog!! I just read about Lavillin (so expensive!) and went right out to buy it. I smell worse than ever, it’s spectacular how that happens with Lavillin. Within minutes of putting it on, horrible stink. I too get rashes from the baking soda, I used it for 6 months before my reaction started. I’ve tried it again after being off it for a while and within days I have a rash. I’m going to try this formula. It’s a shame Lavilin didn’t work for you! I had a bit of a transition period myself when I first started using, but after a few weeks it start working wonders 🙂 I only apply it once a week now, and I’m all set! I used this mask mixed. Its bentonite mixed teas and eo’s. Anyways, I used the mask on my armpits and it really helped to ease the transition to natural deodorant and the baking soda stopped making breakout afterwards. Doing the mask definitely helped me to sweat and stink less. I made this last night and was excited to try it this morning, but it’s rock hard. Would putting more coconut oil help or hurt since it’s very cold here? Thank you! I have been using a cornstarch and baking soda w/ a few drops of tea tree oil dry mixture for years. (I don’t add any coconut oil because I don’t want to stain my clothes, and also I want DRY pits. And the tea tree adds the antibacterial properties that the coconut oil would supply.) I apply it with a large makeup brush over the tub – kinda messy but it beats ruining my clothes! This was my question: Doesn’t the olive oil stain clothing? Your site is so informative. I have had good luck using MOM(Milk of Magnesia) as a base for deodorant. I grind herbs(spearmint,nettle,green tea) and mix with bentonite clay and lavender EO for the longest lasting and most effective deodorant. I am allergic many chemicals and unable to use any commercially available deodorant after using quarter of century! I have tried homemade deodorant with baking soda…that was not good idea also. As a matter to the fact that causes severe reaction and armpit was swollen with red rash. I am Asian and due to dietary intake, it would be TMI to say… odor is literally offensive to myself and let alone people around me. Though I have NOT tried recipe with DE but my question…is there any deodorizing substance which either neutralize odor produced by bacteria AKA “bacterial fart” or eliminate totally without irritation to sensitive skin for people such as myself? Do I have any hope of actually DEODORIZER that really works for sensitive skin? For yellow staining on whites or even on coloured fabrics I’ve used a paste of 2 parts Hydrogen peroxide &1 part Borax – mix it into a paste and apply with an old toothbrush. May need a few applications if a lot of yellowing on white fabrics is persistent . Blessings From Canada! I continue to use the same ratios as given in above recipes. perspiration is a good detox venue for the body,fighting odor is ongoing,though shower 2 x daily. Love garlic but stay away mostly. Can I add EO for fragrance? Hi Julie, is the odor really eliminated with just arrowroot powder and coconut oil? 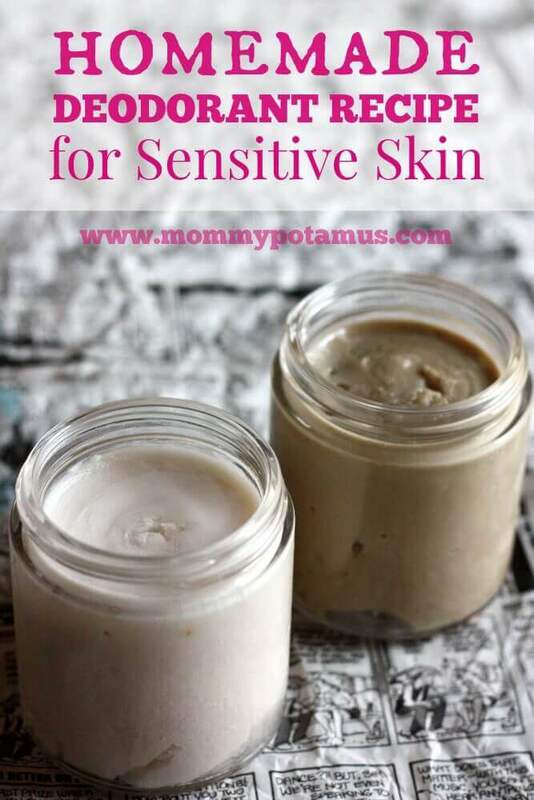 I tried the diatomaceous earth recipe from Mommypotamus, but the underarm smell was awful, and after two years with the baking soda recipe I am now getting a burning rash under my arms. I second the coconut allergy question. I can’t use coconut oil on my skin or mouth. It causes major rashes. I also have super sensitive skin. I go without deodorant when possible and use a Shea butter based store bought sometimes but the baking soda in it also irritates. I really want a non toxic everyday solution. Any ideas, Heather? While looking to buy diatomaceous-earth I came across this…. any thoughts? how long does it take to adjust to natural deodorant? I tried another recipe, which didn’t take care of the odor and just tried yours for the last couple of days. I can make for about 6 hours, and then “the funk” sets in and I can’t stand myself. help!! I understand it can take up to 2 weeks to adjust. I was pretty stinky for the first week or so, but now it’s GREAT. I use the baking soda, corn starch, coconut oil version. Good luck! Hi Heather, I’ve tried the recipe for sensitive skin and I don’t feel it gives me the protection that I need. Baking soda seems to irritate my skin but, I loved that it protected me from unwanted stink even after a run!! What can I add to the sensitive skin recipe if there is anything? I agree with Marie. My pits don’t react well to the baking soda, and from what others are saying about the DE and how it’s not effective I’m a little afraid to switch it up. Especially since I’m a naturally odorous person, I used to use clinical strength deodorant, and I don’t wanna go through the first few days of being stinky all over again. So just in case the DE does not work, is there anything else I could substitute for it besides bentonite clay? And are you positive these products of DE and bentonite clay will absorb all the odor? I have used one of your recipes i used coconut oil and a bit of shea butter for a firmer consistency DE and arrowroot along with Peppermint EO. The consistancy was great the only issue is i smell. I used the bicarb before and my pit broke out in horrendous rash which got infected i then had to take antibiotics. Which i hate taking. Any other ideas would be greatly appreciated. Try the 1st recipe only using 3 tablespoons of baking soda. I have 2 questions. Right now I’m dealing with quite a rash under both arms from a traditional deo. Does anyone have any suggestions on what I can put on it to help heal quickly? My other question is what should the consistency of this homemade deo be? I made some today and it is solid as a rock. Guess I should add more coconut oil. Bee larva, sorry. Am discussing yeast overgrowth here. I would love to know this answer too. I can’t seem to get the oil out of the pit area. I make my own detergent and it has done wonders with my husband’s clothes, but doesn’t touch the deodorant in the pits. I ended up using some Tide I had left over and soaked the pits to save my shirts. Not happy about that. I am a Registered Nurse for 21 years. I wanted to warn your readers about using corn starch under the armpits, under the breasts or in the groin area, especially if they are diabetic. The problem with corn starch is that it ‘feeds’ the yeast that are normally found on our bodies and could cause a yeast infection in these areas, which would manifest as a painful, red, and irritated rash. Also, avoid talc powder as it contains small fragments of talc, a rock, and could also cause irritation of the skin. Our skin is our primary defense against infection and ‘bugs’, so make sure your razor isn’t too dull. I had recently read that if you shave your armpits, you can cause micro abrasions (‘nicks’) that allows anything you put under your arms to travel to your blood stream. Using chemicals under the arms (i.e., store-bought deodorants or antiperspirants) that get into your blood stream are not readily removed by the lymph system, especially if you apply them before bedtime when lymph flow is slow. Parabens, and other substances in deodorants, have been noted in a high percentage of women diagnosed with breast cancer. To improve lymph flow, try going without a bra sometimes (free your ‘girls’ once in a while), jump on a rebounder, jump rope, or run, even for short bursts during your walk or hike. The jumping and bouncing will help your body improve lymph flow and therefore, increase toxic build-up from the body. The last step is to make sure to drink pure, filtered water to aid in the breakdown and removal of the toxins from the body. Sorry to ramble, but if I could just help one person, it was worth it. Thank you so much for this recipe! I was bummed when I still had the rash with 1/4 cup of baking soda so I cut it to 2 tablespoons and voilà! No smell, no rash and soft underarms! Oh and I also added a 1 tsp of vitamin e, a bit of tea tree oil and some lavender oil, smells lovely and the vitamin e is helping sooth my healing underarms. 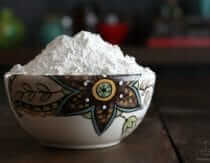 Did you increase the amount of arrowroot powder after decreasing the baking soda? Hi, I was wondering if it’s okay to add some beeswax to the sensitive skin deodorant? I can’t really see why it would hurt, but I’ve never used DE before, and have only used bentonite clay once (but never with wax), so I don’t know if the wax would negatively affect these ingredients. Hello, First, to Aria, I added beeswax to the sensitive skin recipe because I’ve used it in other deodorant recipes to avoiding melting in the summer, and it works fine. I used to use a baking soda recipe, and it hurt my underarms, but I didn’t have sweat/stink problems. I’ve been using the sensitive skin recipe from this site, and my underarms are happy, but I still feel a little stinky. If I were to increase the ratio of any of the ingredients, which do you recommend? Hi Mollie, I use the b. soda, coconut oil, and arrowroot powder. i don’t melt anything I just mix until blended. 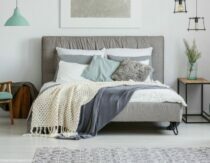 How would I add beeswax to this mix? I’ve made this before, with both arrowroot powder and cornstarch, and it gives me a bad rash. I think it’s the baking soda. Any other suggestions? Not sure if it was mentioned,but from what I know, commercial Baking Soda contains aluminium,which is the stuff we want to avoid. I buy only Baking Soda from the Health Shop or if it’s stated “aluminium free”, unless it’s for cleaning purposes. You’re thinking of Baking Powder which is very different. It is made with aluminum unless you buy “aluminum free” baking powder. Baking Soda is not made with aluminum and since it is naturally aluminum free it will never say it’s “aluminum free”. Hi Catherine, I have been researching DIY Deodorant. I’m reading so much about people having burning or rash after using them. I can’t help but to wonder, is it the Baking Soda??? Are you using “Aluminum Free” Baking Soda? Another option would be to add Bees Wax Pastilles (It is what helps with antiperspirant. ), and/or Vitamin E.
Has anyone tried aluminum free baking soda? I’m wondering if this would make a difference with getting a rash. Thanks! Hi Mae, according to the Bulk Barn where I buy my b. soda it is aluminum free and I am still getting a burning rash. I am down to about 2 tbsp of b. soda for my recipe and still rashing. Will the DE stain my clothes? It looks like a greenish brown in your picture. I just thought maybe someone the properties would be a good thing but hoping it would counteract it in someway 🙂 Thanks! I hate the commercial deodorant, but have tried every recipe for DIY deodorants. Men seem to love the deodorants I make, but I can’t get it right for me or my female friends. The baking soda burns, without it, I stink. The coconut oil stains my shirts. Cornstarch isn’t really good for your underarms. I am very frustrated with the entire endeavor. My best friend had Lymes Disease for years before they realized. She is sensitive to everything. She can’t use commercial deodorant. She used some type of salt for deodorant for years, but recently developed a sensitivity to it. I have been trying for months now to get something she can use. What doesn’t burn, smells. What doesn’t smell, burns. There has to be something. I am having the exact same issue… I am wondering if anyone recommends or has tried adding essential oils? I just can’t do the baking soda but without it, the de doesn’t work. Any thoughts would be appreciated. Try eating parsley regularly. It stops the odors somehow. Yeah, you need to add tea tree oil to it. It will keep the stink away. To help my husband, daughters and I convert over to DIY deodorant, we are doing the “pit detox” a little different just because my daughters are teenagers. To “convince” them to make the switch, I purchased Schmicks Deodorant. **I’m just gonna start out by saying I do not work for Schmidt’s nor do I even know anyone who does. I have no absolutely NO affiliation with the company at all. Just a customer who LOVES LOVES LOVES their product! Schmidt’s Deodorant absolutely works! My husbands favorite is Juniper & Cedarwood, mine is the Ylang Ylang & Calendula. I also have tried the Bergamot & Lime and I love the smell, works just as good but I love Ylang Ylang. I have not smelled or tried the Lavender & Sage but if it is just as lovely as the other 3, I am sure it’s just as amazing. What is different about Schmidt’s, it does NOT, I repeat they do NOT use Coconut Oil. When I got home after purchasing my first 2 jars (my husband and mine) I wondered how in the world it could work w/out that. That is when I had my AHH-HAA moment! Yes, they use Baking Soda and Arrowroot we all know the whys and whats of these, here is what threw me off. They use Cocoa Seed Butter which softens the skin AND protects against environmental harshness. 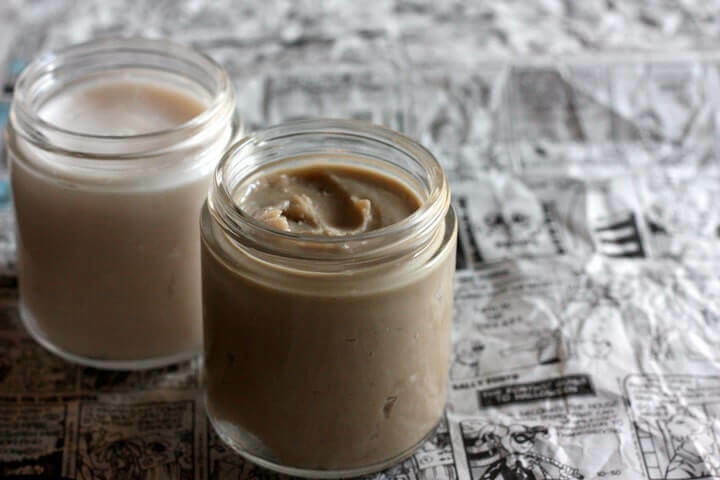 Shea Butter helps keep the intercellular structure of our skin together, the best part, incredibly effective at keeping bacteria out, facilitates the skin’s healing process, prevents the bumpy irritation (especially in woman if they shave) and regenerates the skin. Vitamin E which serves at least one purpose I know of, a preservative, possibly for more skin nourishment (?). Here is the ingredient that really caught me off guard: Hops Extract. According to the American Herbal Council, here is a blurb explaining it well, “Hop bitter acids have proven to be especially effective against gram-positive bacteria. They work best at low pH in not dissociated form.71-75 In comparison to phenol, alpha-acids (humulone) and beta-acids (lupulone) are about 200 times and 700 times more potent, respectively. Against gram-negative bacteria, the same substances are without considerable effect, and yeast and molds are minimally inhibited.” I thought this was worth further investigating Hops Extract in general. I’m experimenting now to make a copy cat of this before we run out of our jars. I have super sensitive skin, I do shave my pits and I have not had one irritation from this brand. My husband is using it as well and he has not had any irritation either, & just to be equal here, he does NOT shave his pits, lol! I’m not trying to sell this, I’m trying to say, maybe it’s the coconut oil causing the breakouts / irritation?? Has anyone else tried using Hops Extract? I want to make my own deodorant paste based on schmidt’s recipie. Anybody ‘reversed engineered’ it? in other words, what is the recipie? how much hops do i add? how much of other ingredients? I am trying to also reverse engineer Schmidt’s, and am not sure how much hops to add. I found an alcohol-free extract, I like, I just do not know how much to add. After my shower at night I put just coconut oil under my arms for the night. It does stain my night shirt, but it mainly washes out, and besides, it is just a night shirt. But because of staining I cannot use just coconut oil during the day. However, I have made my own deodorant using coconut oil, baking soda and corn starch. After a few days use my underarms break out. I have also used a very small amount of baking soda and swiped it all over my underarms, being careful to knock off any extra and to make sure it is all over. I do this when I want that extra protection as all deodorants store-bought seem to fail in some way. I can only do this a time or two and then I break out. I cannot consistently use baking soda as I am very sensitive to it and wish I were not! Uh, yeah they do use coconut oil. It’s the second and 6th thing on the ingredients labels. “Cocos Nucifera (coconut) Oil” and “Caprylic/Capric Triglyceride (fractionated coconut oil)”. Also, it’s Schmidt’s, just in case there’s confusion for people trying to find it. I, too, purchased the Schmidt’s deodorant. I loved it at first, but then I started breaking out again just like I did from another healthy deodorant. My underarms are so sore. I had purchased the lavender and sage. I wonder if it could be the essential oils? This is so frustrating! I’m back at square one! Any ideas? I recently bought the Schmidt’s after hearing good things and was looking for a change. After a few days, my pits were ON FIRE! Not sure what did it, as I have been using natural deodorants for several years now. I loved Schmidt’s…until I got the rash. They now make a sensitive skin version, it’s made with Shea butter. It’s ok, and so far no rash. (but personally I can’t stand the smell of shea). Just recently i’ve been using full cream milk on my armpits. Yes MILK. Sounds strange, but if milk can clear facial skin of acne, i thought i would give it a try..Indeed it works and now i am three weeks into it..i used to put my organic homemade lip balm from the recipe on wellness mama’s site but it only lasts a few hours when i’m on a heavy sweat. But pure milk,no added water, did the trick. Hope this can help you. I am in my late 40’s and trying everything natural to ease menopausal syndrome and to avoid nasty chemicals. I wash off the milk in the bath with plain water ‘coz I usually put it a minute before showering and letting it absorb for a minute or two. Hi Diana, I wanted to comment on your search for a deodorant that is not too harsh, I was struggling with the same problem for years, the baking soda and the natural salt stones burned and started to leave a rash and other deodorants were too oily! I was really frustrated for years as I could find nothing that worked or didn’t damage my clothes. I did find this one that actually works 100% in deodorizing and has never been harsh or burned at all, it is also not oily as it looks like they mostly use saponified coconut oil somehow, it is still a bit waxy and can be sensitive with very delicate fabrics but has been okay otherwise with most of my clothes. The company is called In Love With Body Care and the one I use is the “Soothe” version, they have a few other types that are a little more harsh and this was the one that never caused any irritation. I developed a painful sensitivity to polyethylene glycol & had to stop using commercial products, as it seems to be in almost everything. I tried the homemade baking soda recipe & also found it stings. Tried quite a few recipes without success & finally just use a slice of lemon every morning. Simple, effective all day & it goes into the compose. I use a crystal deodorant an while still wet I use a brush to pat on a 50/50 mixture of baking soda and corn starch. If I use only the crystal i feel I am smelly within 4-5 hours. My wife and I have been using this recipe for 9 months now and we love it. She was resistant to it at first but after she saw the results she fell in love. We apply it every other day and never smell a whiff of BO. So simple, so good. Thank you! I’m a little confused, is the food grade diatomaceous earth a pesticide? And if so why would I want to put it on my body. Please help me understand because I have very sensitive skin. She is using food grade Diatomaceous Earth. There are two types: food grade and pool grade. Always choose the food grade for internal/external use, pets and garden. Only use pool grade to filter pools or other industrial materials. She lists that in the description above as well as where she purchased. All you have to do is read and research yourself. The world wide web usually can answer any question you may have, but you have to put in the work yourself. All diatomaceous earths are considered pesticides, but not for the reason that you are thinking. Industrial insecticides are nervine toxins that damage the nervous systems of insects. Similarly to when salt is poured on a slug, the moisture from insect bodies is drawn out with diatomaceous earth, and they basically dry up. In other words it is a desiccant. For us, this is not a problem as we do not have exoskeletons; therefore, the diatomaceous earth is not dangerous to us in that respect. You obviously do not want to inhale it or let it get in you eyes in its powder form, as it can damage the mucus membranes. However, once diluted in water or oil, topical applications and ingesting it can provide vast amounts of vitamins and minerals to the body, as well as ridding the body of parasites. You can, but you’d want to mix it with a liquid oil to make it more spreadable. I have really sensitive skin so I was looking for a recipe like this. 🙂 Thanks a lot! I was wondering if anyone ever tried pouring it into an empty deodorant bottle? If so, how did it do? Re: Corn starch…PLEASE beware of cornstarch…it causes YEAST infections…it’s not meant for cosmetic applications! What the cornstarch is likely doing, is feeding yeast and worsening an underlying infection- it shouldn’t introduce yeast. Given that, arrowroot could exacerbate a problem with yeast since it is also a starch and therefore a food for yeast. Arrowroot would be only be a good substitute for those specifically sensitive to corn. Thank you for your tips Heather! I made this recently and absolutely loved it for about 2-3 weeks. It was working great! Recently, it has stopped working. I added more coconut oil to see if that would help (I made the sensitive skin version). Didn’t do much. Any ideas? Thanks! I made this diatomaceous earth version and have found it stains my shirts. It came out quite a dark colour, did I do something wrong? I’ve been deodorant free for 5 years. I only use a spritz of rubbing alcohol under my arms. In summer I keep small travel size spray bottle with alcohol in it to apply as needed. It stings a little after shaving, but otherwise works really well. Can I add essential oils to this recipe? How much should be added? I think I have a negative reaction to coconut oil when applied to the skin. I’ve tried lotions, body washes, body oil, scrubs because I looove coconut. It wasn’t until recently that I noticed that my skin became itchy after using a product with it. I’ve had a decline in health this past year, and have tried to boost my immune system and overall well being with the most purest and natural products possible. It’s been very hard. I have a very rare “allergy” pruritus. Haven’t experienced it in a couple of weeks, it’s bizzare. Comes and goes, no warning, any area, time, day. Make me cry. No bumps, just internal itch, scratch until I cry and bleed, used all types of Rx topicals, naturals topicals, tea tree, neem, etc. So I avoid coconut oil, and recently I read magnesium oil is great for inflammation which would help with my Fibro but it causes itchiness. Sigh… Could I use maybe jojoba? I thought maybe castor oil but would that be too heavy? Thank you, sorry for the long rant. Chris, I have fibromyalgia too and the itching you describe. The only thing that stops it for me is taking a Benadryl. Also the doctors gave me an anti-itching medication because I was itching all over my body for 2 days due to an allergic reaction I had from an anti nausea medication they gave me. So maybe try Benadryl for this. I hate to be the one to tell you this but your using a lot of products that “have” coconut oil in them. This would then mean that any other ingredient in that product could be causing your symptoms. The only way to eliminate the idea of being allergic to coconut oil is to use pure extra virgin coconut oil, all by itself and then you will know. I can eat pizza and break out in hives but until I take each ingredient and test it one at a time, I will never know which part of that pizza caused my reaction, the pepperoni, the bread, the cheese etc… I hope I explained it well enough and it helps you. Hi,I’ve used your basic recipe for a while now,just wanted to know if I could use bentonite clay instead of the diatomaceous earth in this recipe. I use 6 tbsp of cornstarch, 1 tbsp baking powder, and 1/4 c of coconut oil. I’ve found that if I mix solidified coco oil with the ingredients, then the deoderant tends to cause a rash; but if I heat the coco oil just until it is in liquid form (warm, not hot), let it sit for a few minutes, and then add the ingredients, I seem to not have any problems. The mixture is very liquidy at first, but solidifies overnight. To apply it, I rub it between my fingers to heat up the solidified oil and then apply it. NOTE: I only use deoderant at work or when going out. At home, I splash on some witch hazel and it kills to odor-causing bacteria immediately. I do this before bed and when I wake up. Armpits are meant to breathe, not suffocate from constant applications of deoderants. THANK YOU Lacynda!! Finally someone that has thought this problem through. I never thought to melt the coconut oil first, and then mix in ingredients. I first started with this recipe from PurelyGreat and it too was in liquid form, but I prefer the solid. However, I will definitely go back to a softer version if it would just stop the burn I have been feeling. It makes sense as then the baking soda will soften up too. Also, I thought I would mention that I use arrowroot powder as everyone says cornstarch causes problems. Loved the recipe for years and have been putting up with burn. Wish me luck! ummm she says to melt it in the directions…. why is that a surprise to you? I have had the most success using 99% pure aloe gel …about 1 ounce in a small jar, then add 4 drops Nascent Iodine. No odor all day. NOTE: Drugstore iodine and Lugols iodine did not work as well for this..I tried them both. I have not noticed any staining to clothing, but if you are wearing something white or dressy, to be on safe side, you might want to use a different deodorant. Aloe iodine can also be applied to breasts for fibro cystic breast. It really works! I use Milk of magnesia for Deodorant for two years. It works. No odor cheap and no sweat. I just use a cosmetic brush and let it dry in a minute. I’ve had success with just coconut oil and a few drops of anti-bacterial essential oil such as lavender, clove or tea tree. The essential oils kill the bacteria causing the smell and there’s no irritation as there is with the recipes using baking soda. I haven’t had any problems with staining because you only need to use a tiny amount. I had a mastectomy last year and am only now beginning to have my sweat glands working under my right arm. I want to try a homemade deodorant (not just for the non-toxic factor, but also because chemo changed my body chemistry enough to make my regular deodorant not work anymore), but I don’t want to use the baking soda if there’s a chance it will cause burning and irritation. However, I am extremely allergic to silica, so I cannot use the bentonite or diatomaceous earth. What else can I add to the arrowroot/cornstarch and coconut oil…or owuld those ingredients be enough to make an effective deodorant? Have you ever tried lemons for deodorant? You just slice a piece, rubber your pits and go (air dry). It works by killing the bacteria that causes the odor I believe. It Works. I tried it cuz I ran out of store bought. So, it’s approximately 8000 degrees here today, and guess what WAS NOT in my cupboard this morning? Deodorant. I was out. plum out. I sweat like something out of a science fiction novel in humid heat, so I was thinking oh no…. So, I worked from home today (yay!) where I could be in all my sweaty glory and not offend my co-workers (yay for them!). I found this recipie online, burned out to the store on my lunch hour and bought some coconut oil because apparently I don’t look in my cupboards before I go shopping any more, and I was out of that as well. I just whipped up a batch in between meetings. I applied it in semi liquid form before i set the rest in the fridge to firm up. I ended up adding too much oil, so had to add tablespoon or so more of the cornstarch to bring it back to a paste. I can apply it that way in a pinch if I needed too, but hopefully it will stay a bit firmer, at least in the mornings when I generally apply things of this nature. I’ve been using clay for over 20 years, internally & externally, and make my own shampoo, toothpowder, mouthwash, deo, etc. I’m very interested to try your diatomaceous deo recipe, but would like to substitute grapeseed oil, or another oil, for coconut. I have an aversion to coconut oil and I like grapeseed because aside from being a wonderful, healthy oil, it also doesn’t stain clothes. Any ideas, concerns or suggestions before I try it. Any advice would be wonderful. I made the 1st recipe about 4 days ago. I used the proportions for baking soda to arrowroot but in smaller quantities as I was making it for the 1st time. I used fresh pressed coconut oil (which is some months old…I can’t remember how many, but it smells and tastes yummy), enough to make a paste. The mixture smelled great, and ir was very effective. my underarms were tingly but not red or overly irrirated. I’ve used it thrice. today I found the mixture to be smelling a bit off. Not the yummy coconut smell of the 1st day. The color has also darkened slightly. I’m worried that it has gone bad and isn’t safe to use. What do you suggest? I just tried the sensitive recipe with DE for the first time yesterday. I was wondering how it’s meant to be applied and whether I’ve made the right consistency as it went on a bit like clay so as I tried to rub it in, a lot starts to sort of crumble off. It is also very dark and as it didn’t soak in due to the clay-like consistency, it literally looks like I’ve rubbed clay under my arms. Is this normal or should it be a looser consistency? Any help would be appreciated as I’m really keen to switch! Also could you advise more detail on the detox period? What will happen during this period and what to do. Thanks for your reply. I’m not sure whether it could be mixed with clay, I shall have to check. It is mainly labelled up as insect repellent/animal feed but when I purchased it, it did say food grade. Should it feel more like a wax when applied and soak in like a regular deodorant? Thank you for the recipe! Is it ok to put a few drops of lavender oil into the mixture? Or maybe vanilla oil? So excited to try the version with diatomatious earth!! Thank you!! I’ve been reading all the comments and one thing that strikes me is how different peoples solutions are. For example, some people have success with milk or milk of magnesia, while others swear by lemon juice or vinegar. The difference is pH levels. Doesn’t everyone have different pH levels? From what I understand, the perfect level is between 5-7, but don’t diet, genetics, environment and other factors affect it? Then there’s the yeast question. As Michelle the RN said above, arrowroot and corn starch feed the yeast that is in/on our bodies and can cause yeast infections. 1. does it make sense to measure our own pH levels, and use deodorant ingredients that will balance them out? 2. How much does diet, genetics and environment have to do with sweating and body odor? 3. Are there other ways, in addition to deodorant, to reduce sweating and b.o., and how can you find out what’s best for you personally? 4. Is there a way to measure yeast levels so if you have a lot of it, you don’t feed it with starch? Or does using starch on your body naturally increase yeast levels by feeding it? A lot of questions I know, but it just seems like there’s no one solution for everyone, so we need to find out what our individual bodies need before we can find the best solution. So, I just made this deodorant! (Super Excited!) and tried it out. It’s a little crumbly, so I’ll adjust it a bit in the future. Putting it on felt nice and dry. I’m going to use it for at least a week (The real test will be at work!) I’ll let you know! 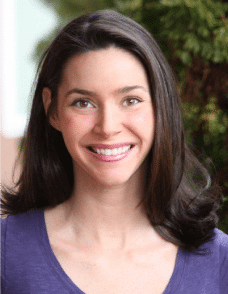 Heather, is it okay to use the first recipe on freshly shaved armpits? Thank you so much for this awesome and very easy recipe! It’s very effective, and it smells nice too. So much better than the store bought deodorants. I’m so happy with it. You’re a life saver! I am a Dr. of Oriental Medicine for 20 years. Simplicity…or…reducing everything down to its most basic form is a preference of mine. Coconut oil is a natural repellent to bacterias…. I apply only coconut oil each morning and never have a problem with anything the whole day through. What will be absorbed will be vitamins and minerals that are positive and not overwhelming as the amount needed is minimal. Have a great day. problem for most of us and if it did, we wouldn’t be here now discussing homemade remedies ! para-pen is not the only issue, but the aluminum too (see the allergies… I don’t remember to have any child allergic around me in my childhood…). Recently made deodorant without baking soda, and when adding the diatonaceaus (sp?) earth, the product turned an odd brownish-green color. Any help explaining why would be wonderful. Thank you for your time. I tried the deodorant with the DE and my problem is that it’s not blocking odor. I smell BO after a while. Is there anything else besides baking soda that can help with that? I keep coming back to your site and finally decided to try a couple of the recipes… and so far so good…except I think I’m a little sensitive to the baking soda. I have yet to try the DE version but just bought some for the first time and am excited to try! Have you ever experimented with Hemp Oil in deoderants? The reason I ask is I was wondering if anyone here had issues with the shea or coconut cloggng their pores…and I read that hemp oil was the most comedogenic so wondered if it might work. First of all, My mother is a breast cancer survivor and my grandmother was too. It runs in my family and some years ago when all the hype about deodorant causing cancer was all over the place, i took it seriously. Also, i had huge, painful cysts in my pits since i was a teenager which are obviously caused by store bought deodorants as well and to think i didnt realize this or know this for so many years, suffering with painful cysts, until the word was out about deodorant causing cancer. Then i put two and two together and thought wow maybe thats why i have the cysts. So i stopped using it completely and started making my own and inspite of the problems i had with baking soda burning my pits, I have NEVER had another cyst in my pits again ! This is proof that store bought deodorant is seriously bad. I was amazed and still am. I have made the deodorant with the arrowroot, the one for sensitive skin, and it seems to be working perfectly, all but one thing. It just ends up being too hard to get out of the jar so i will experiment until i get it right. Thanks for the wonderful recipe. I have heard good things about bicarbonate of soda for deodorant here in the UK. I am allergic to both baking soda and arrowroot powder. Can you recommend another option? On a recent trip to the Bahamas, encountered a lovely young lady who said she hadn’t worn deoderant in years, and produced this recipe in explanation. While she wouldn’t let me sniff her underarms (don’t judge, it was the local Kalik Gold talking), I didn’t notice anything offensive. I think I’ll try it myself! I’ve made the original recipe and am quite happy with it with one problem: I live in a hot country and the coconut oil stays liquid all the time which isn’t too big of a problem except when traveling. I can’t seem to find a container that doesn’t leak the melted coconut oil out of it when it gets moved around. Any suggestions? I haven’t tested it so I’m not sure, but adding a little beeswax to your next batch may help it stay more solid. Hello Heather! I originally picked this deodorant recipie because it only had three ingredients. But now that I’ve made it it is amazing and I can’t believe how well it works. I walked around all day yesterday in the without smelling funky at all. Thank you for the recipe I’m going to try some other ones! I really like this deodorant. 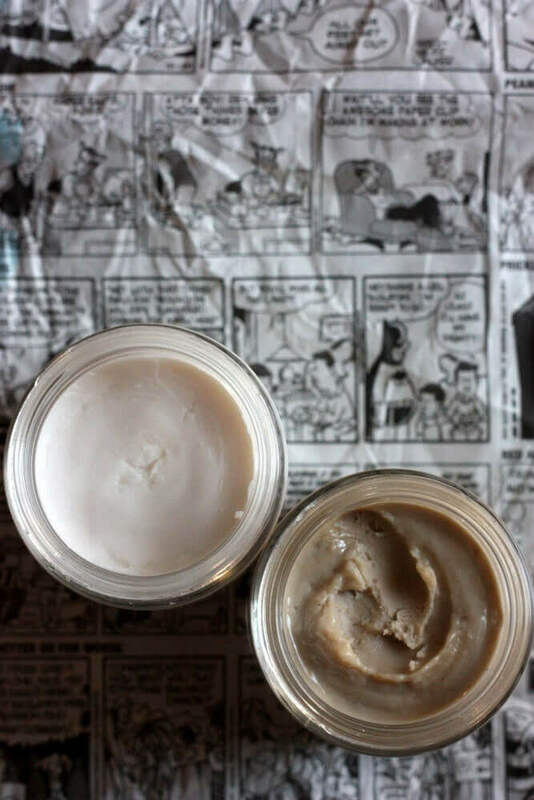 I’ve been using the Basic Recipe for Sensitive Skin for several years and I am still amazed at how well it works. I have 4 daughters that use it too with great results. My friends have recommended recipes to me over the years, but warn that I would have to reapply during the day. With your recipe I put it on once in the morning and I’m done! Super easy and it keeps the smell away all day. Can you also trade out the coconut oil for shea butter in this recipe?